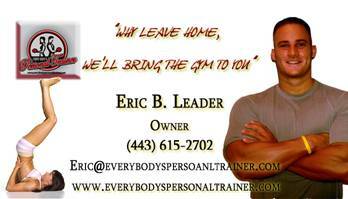 As a personal trainer in Arlington of over 20 years, I receive a lot of questions as you can imagine. Just yesterday a young client of mine who is looking to put on muscle for football was wondering what I thought was the best training split to add muscle size and strength. It is a very good question so let’s dive on in. Before we go into the split training programs, it’s important to understand what’s responsible for muscle gain or hypertrophy. In order to gain muscle or increase strength, you need to stimulate an overload the muscle and break it down. Once the muscle is broken down it then needs to recover, and proper recovery is essential for muscle gain and strength. So when thinking about a split training program, we need to make sure that we are getting maximal stimulation and overload on the muscle, along with proper recovery time. So what training programs are the best? In my opinion, what works the best is training each muscle group on its own day once a week. For instance, on day 1 train chest, on day two train back, on day 3 train shoulders, on day four train arms, on day 5 train legs, and I’ll take day six off. The reason I feel that this is the most beneficial split training program is that by training one muscle group per workout you can guarantee that you will have enough overload and volume as well as intensity to break down the muscle efficiently and caused micro tears needed for that muscle to repair itself and grow. Not only that but by training each muscle group once a week you are giving me muscle adequate rest to recover and gain strength. You do not need to worry about overtraining, or continually breaking down and catabolizing muscle.